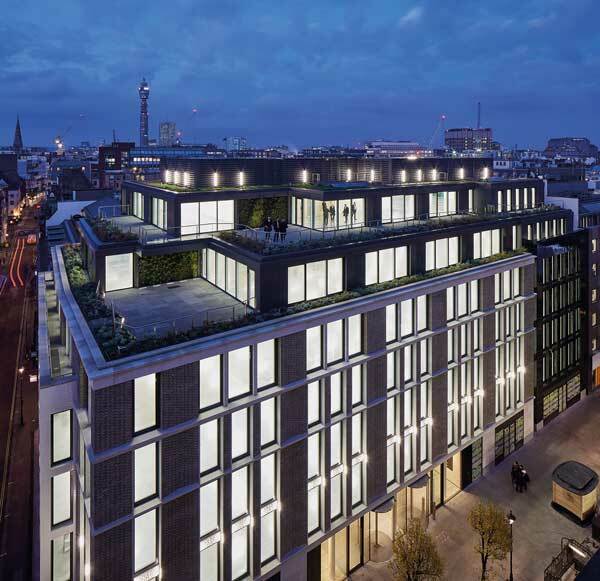 The structural design of Thirty Broadwick offers optimised lettable floor areas within Soho’s tight streetscape, and replaces a tired building with one that reflects the district’s modern character. As the SSDA awards celebrate their 50th year of recognising the best of what the UK steel construction industry can achieve, we celebrate that 77% of the projects feature STRUMIS customers. In this post we will be celebrating Severfield’s involvement in the Thirty Broadwick project. It now offers exemplar West End office space, with large, flexible floorplates, that meet the client’s exacting sustainability standards. The upper floors step back, creating large outdoor terraces which provide valuable amenity space. The superstructure is a steel frame, based around a concrete core with cellular beams allowing for integration of services. In summary, the judges say a deceptively simple project where structural steel is showcased as the ‘go to’ system for maximising the development potential on such heavily constrained sites.